Very welcome at The Monarch Hotel! 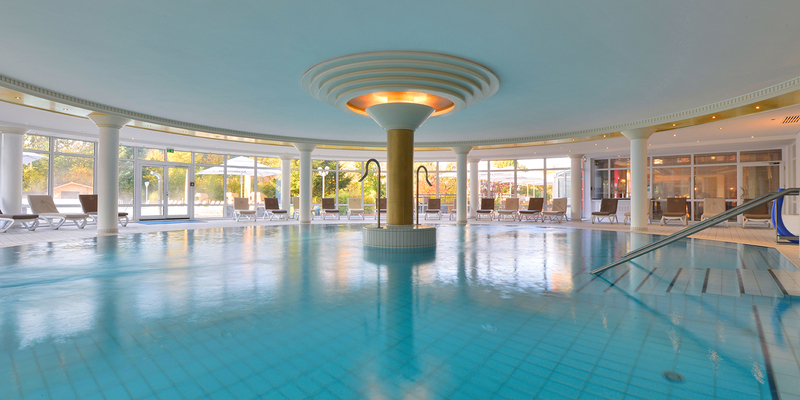 Enjoy wonderful days at the heart of Bavaria at our hotel. You can expect an elegance and pleasant atmosphere that convinces with wellness, conference and gastronomy offers. Twelve conference rooms are available for meetings and celebrations from 5 till 540 guests. Discover our different offers and arrangements and feel like home. Contact our team – we are at your disposal for any questions! On the Danube and at the hill. Relax at our hotel for one weekend without stress and find recreation for your soul. We offer an extensive range at our The Monarch SPA. Bad Gögging is a tranquil spa resort near the river Danube. At this beautiful landscape we welcome you to wellness packs,baths, massages and cosmetic treatments. Enjoy your time at our traditional Finnish sauna or our infrared sauna and have a sleep at the relaxation room. Wish to spend a rustic evening in a traditional Bavarian chalet with all the bells and whistles with your guests? We organize for you and your staff your years end or years beginning party! Focus on your conference. We take care about the rest. You are flexible? Host your conference on weekends and benefit from our popular saving. The central location of The Monarch Hotel at Bad Goegging is perfect for meetings and business travel. Our elegant conference hotel, located between the metropolitan areas of Munich, Nuremberg, Ingolstadt and Regensburg. All major motorways (A3, A9 and A93) are reached in a few minutes. With a journey time of only 45 min. reach the Munich Franz Josef Strauss International Airport (MUC). In our Convention Center we have 12 meeting rooms with more than 2.500 m² for 5 – 540 participants. Alle the rooms with daylight and air conditioning, as well as a professional and individual seminar on-site support. For your creative breaks you can take advantage of our affiliated conservatory or the large outdoor area. We also have a large usable outdoor space for tents and / or outdoor activities. The ‚Benediktiner Alm‘ offers space for up to 130 people and can be booked exclusively for appropriate mountain-lodge parties and business events.